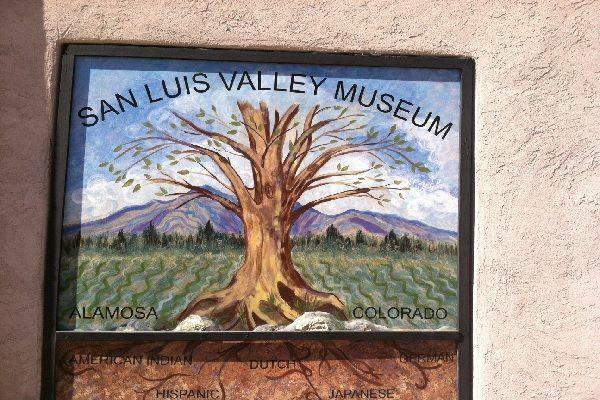 The San Luis Valley Museum, located at 4th and Hunt in Alamosa, features displays of the diversified cultures and arts of the area. Among the various displays in the museum are the costumes worn in the 1860's by frontiersman, Tom Tobin, and numerous Indian artifacts and clothing of the late 19th Century. In the museum, visitors can experience two display rooms; one is a typical old school room and one room displays a traditional trading post. 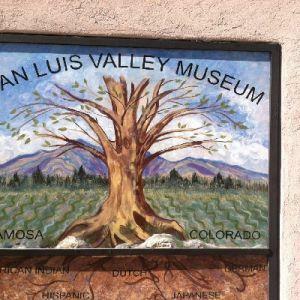 Also on display are fascinating collections of railroading memorabilia, cultural artifacts of the early settlers, farming and ranching, and a display of arrowheads and exotic insects. A veteran's memorial wall honors those who served, with varied displays of uniforms from World War I and World War II. A unique collection of old hats and dolls is also on display. Rotational displays are planned for future diversified exhibits. Stop in and browse the gift shop while you are there. Hours are Tuesday-Saturday, 10 a.m.-4 p.m.